On Saturday, August 10th, Trinity Worship Center will have its 12th Annual back to school festival at Holly Hill Mall in Burlington. Last year approximately 5000 people enjoyed a wonderful morning. 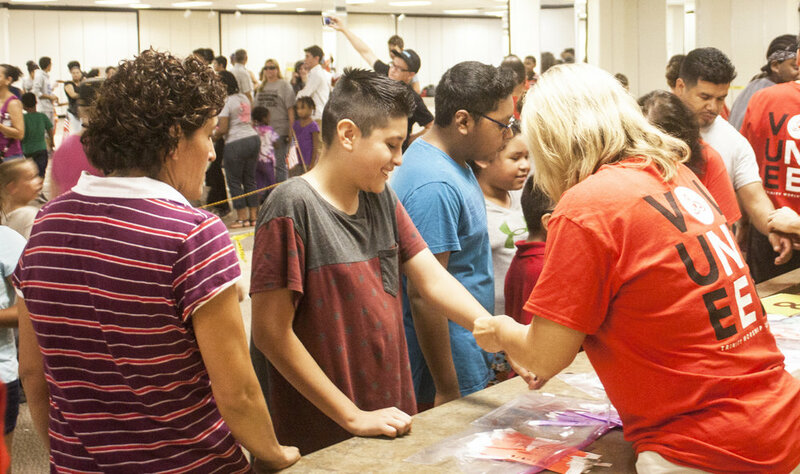 We distributed 2,500 book bags with school supplies to children while being entertained by a variety of “acts.” We also provided inflatables for children to jump, 2,000 pieces of Domino’s pizza, bags of popcorn, ice-pops, and drinks. This year we are expecting a larger number of kids that need our help in Alamance County. We are seeking partners to help sponsor this community outreach this year. This is the key! Schoolstock cannot exist without terrific community sponsors. This event is hosted by Trinity Worship Center and is operated by its congregation. This event is open to everyone free of charge, the sponsorship method is a necessity. Additionally, both the people of the community and businesses benefit from the outreach. Sponsorship opportunities vary and we offer many ways to promote your business. You may become an event sponsor for as little $200. A receipt will be provided by Trinity Worship Center for tax purposes. Please keep in mind that you are not “donating” to a church, you are purchasing sponsorship and advertising at the event. Volunteering at Schoolstock is a great way to serve our community! We have many ways that you can volunteer from packing book bags to serving pizza, set-up/tear-down to welcome team. Last year over 200 volunteers helped make Schoolstock and we can't wait to do it again this year! 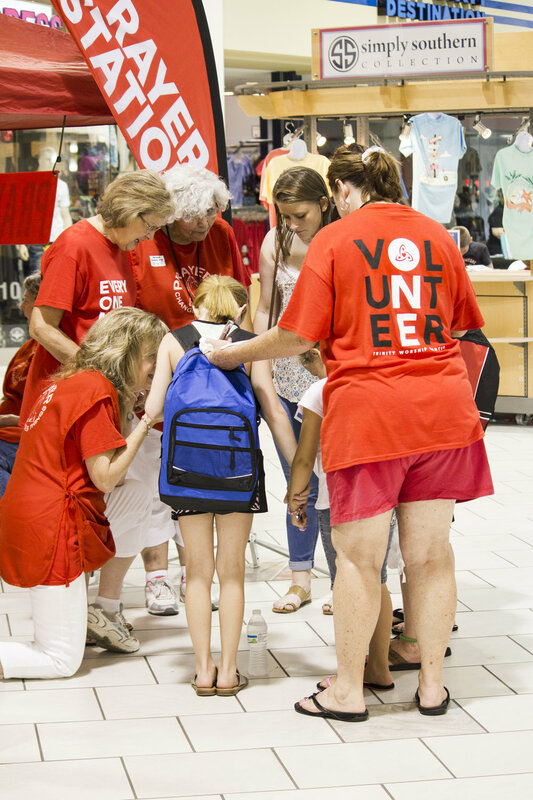 Thank you for giving generously to help us meet our goal of 2,500 backpacks. The cost to fill each backpack is approximately $25. If you would like to donate, click the give button below. You can select Schoolstock from the giving fund list. Thank you for your prayers, financial and volunteer support of Schoolstock. We can never have enough smiling faces on the day of the event to help greet our guests. You can also help by attending our Packing Parties.